For many companies, the use of an ERP system has become an indispensable element for managing business processes. At the latest when a company grows or its requirements change, current software functions may not be sufficient, making an update or even a change of system necessary. An ERP system provides a business and employees with optimum support across several corporate divisions. In most cases, the desired processes are facilitated by acquiring a software whose corresponding functions are most in line with existing corporate and user requirements. Yet many companies think that the functions, which were implemented in the beginning, become insufficient over time due to growth and structural or technological changes and therefore need to be adapted accordingly. Before the ERP system application becomes too complex due to excessive technological customization and causes a reduction in productivity, it is recommended to update to a newer, improved, and more comprehensive version. Global economic and technological IT-developments are increasing rapidly, and factors such as digitalization and the ever-growing amounts of data that need to be processed are major challenges to technology and business processes. Many recent ERP systems, for example Microsoft Dynamics NAV, are already offering a variety of features, as well as interfaces with significantly improved user experience software, which means working with the respective system is easier, faster, and more convenient than it was a few years ago. The systems provide the user with an unmatched degree of scalability and enable access to the desired data from any mobile device or location by means of Web, Tablet, and Phone Client – a particular advantage for field staff, warehouse employees, or those working in manufacturing. Therefore, ensuring that their in-house ERP systems can keep pace with these developments is important for modern, small and medium-sized businesses. Moreover, most companies are faced with continuous change themselves. Company growth and even strategical or structural changes can be decisive when it comes to the need for new functions and updates in order to continue to be able to meet market and customer requirements. In general, an ERP system should always be able to map all the business processes required by the respective company in their entirety. Depending on its technical and functional specifications, not all software is automatically suitable for every business. It is necessary to ensure that the desired processes and functions are in place when purchasing the system. However, if these have changed or become more enhanced over the years, action is required. Regardless of whether the implemented ERP system was the wrong choice for the company or whether the requirements simply changed over time: if an ERP update or change is necessary, it is important to act quickly. The more time passes, the more the costs incurred by using an outdated system, as well as the costs of a change or an update, will increase – a problem which can ultimately be prevented by implementing a new solution. Many modern ERP systems run automated updates, which means that expensive and time-consuming upgrades are redundant. The software basically grows with the newest developments and technologies. Are you planning to change your ERP landscape as well? Our consultants will be happy to assist you. 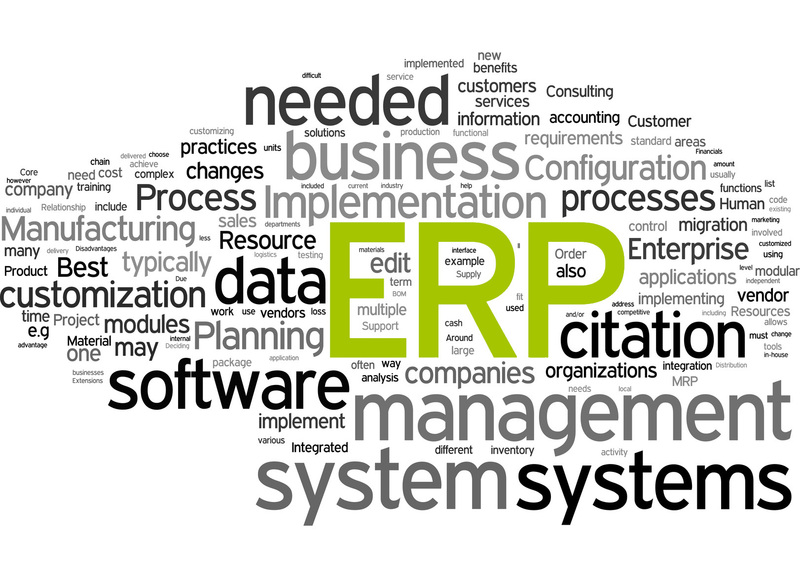 You can also find out what you should consider when choosing an ERP system by reading our blog.